The School of Architecture is pleased to announce three recent publications by members of the faculty and the Thesis class of 2014 developed in part by the School of Architecture Archive. 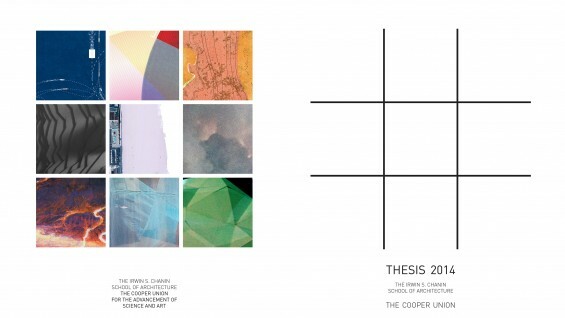 This publication presents the Thesis work of The Irwin S. Chanin School of Architecture class of 2014. The Cooper Union established a curriculum that included architectonics and formal organization as foundations of architectural education many years ago. Thesis at The Cooper Union expands these foundational disciplinary principles to include contemporary ecological and technological perspectives, and relational thinking that investigates Architecture's role in the construction of social networks, communicational patterning, and new forms of human settlement and civic structures. Thesis is regarded as individual work, but the School's pedagogy fosters collaborative group formation as research topics become clear. Inevitable thematic similarities appear -- geo-political, humanitarian, psychological, ecological, technological and artistic. 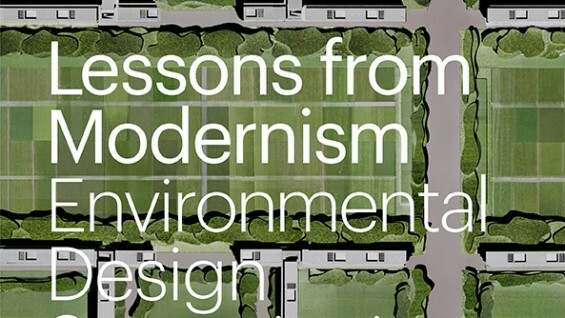 Lessons From Modernism examines twenty-five works of architecture completed between 1925 and 1970 through the lens of sustainability. Through an analysis of the influence of nature and the environment in architectural design, this book provides new insights into works by a diverse selection of architects, including Le Corbusier, Paul Rudolph, Jean Prouvé, and Oscar Niemeyer, illustrating how these architects integrated environmental concerns into their designs and exploring the extent to which these practices have produced environmentally performative and distinctive architecture. This publication is an outcome of the exhibition Lessons from Modernism: Environmental Design Considerations in 20th Century Architecture, 1925-1970, which was held in the Arthur A. Houghton Jr. Gallery from January 29 - March 23, 2013. Tony Candido: The Great White Whale is Black follows the exhibition of the work of School of Architecture Professor and painter/architect Anthony Candido, held in The Cooper Union's Arthur A. Houghton Jr. Gallery from February 2 - March 13, 2010. This publication presents Candido's Cable Cities, a visionary idea of the interplay between humanity and the contemporary environment and what the future of architecture could be, while also highlighting his calligraphic brush and ink paintings and drawings, which have been an important part of his output since 1967. 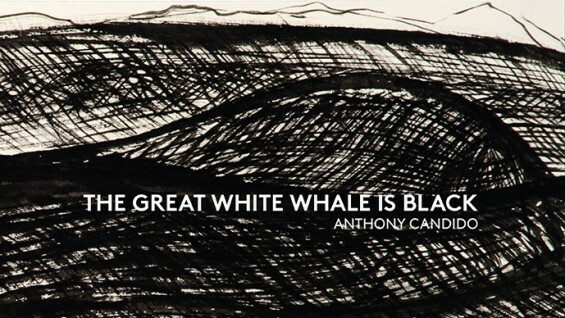 Through this selection of work, which spans the past five decades, Tony Candido: The Great White Whale Is Black portrays a bold expression of one man's life vision, and illustrates Candido's ongoing commitment to art and architecture. 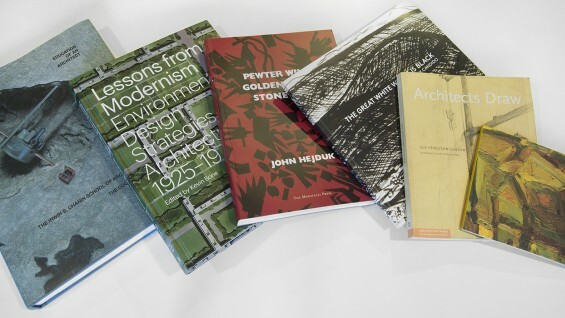 Both publications are available for purchase through the School of Architecture Archive.